A woman motorist has suffered serious injuries in a crash on the A61 at Baldersby near Ripon. It happened when the 42-year-old’s Vauxhall Corsa, travelling from the direction of the A1 towards Baldersby, and a black Vauxhall Vectra travelling in the opposite direction collided on Sunday, January 18, at around noon. The woman was airlifted to James Cook Hospital in Middlesbrough with serious injuries. The driver of the Vectra, a 20-year-old man, his 19-year-old woman passenger and a two-year-old boy were taken to Harrogate District Hospital with minor injuries. 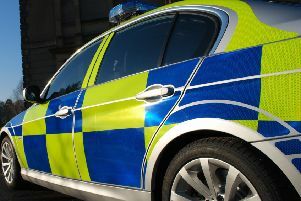 Police are appealing to anyone who was travelling in the area at the time and saw either of the vehicles before the collision, or who witnessed the actual collision, to contact them. In particular, officers are appealing to the driver and occupants of a gold-coloured coach that may have been in the area at the time to contact them. Quote reference 12150009979 when passing on information. The road was closed for around five-and-a-half hours to allow emergency services to attend to the casualties and collision investigators to examine the scene.